What’s on your 2019 programming checklist? We all want to learn new things and master different skills. However, it’s not possible to achieve everything we want in one year. A few things always get left out — no matter how much you try. A while back, I designed what I thought was a beautiful butterfly and my heartless girlfriend told me that it looked like a horse. So, I have to learn some 3D designing. 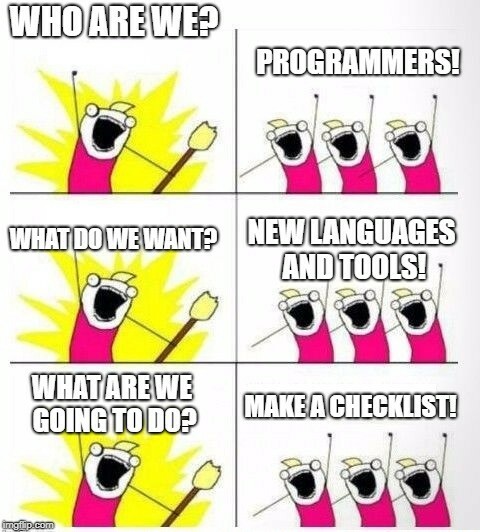 So, what does your 2019 programming checklist look like? What’s on your 2019 programming checklist? was originally published in Hacker Noon on Medium, where people are continuing the conversation by highlighting and responding to this story.